You are very sure of yourself and like being in-charge. You have a large group of friends who see you as the leader and the glue of the group. You dont like being in charge, but you are no shrinking violet either! You have a medium group of solid friends and a good head on your shoulders. You have a happy, bubbly personality and bounce around various friendship groups. Some would call you a social butterfly! You are sensible and straight-forward, but you know when to toe the line. Some would say you were outspoken but you are always able to find the fine line between constructive comments and criticism. You are very chic and prefer the classic styles. Your go-to look is pencil skirts, stilettos and button-up blouses. You are all about quality over quantity. Youre quite shy but have a solid group of friends. You find comfort curled up on the sofa, listening to the rain with a warm cup of tea and a good book. You have a wacky and wild personality. You throw amazing parties and youre always the first one to draw a crowd with your incredible, zany dance moves. 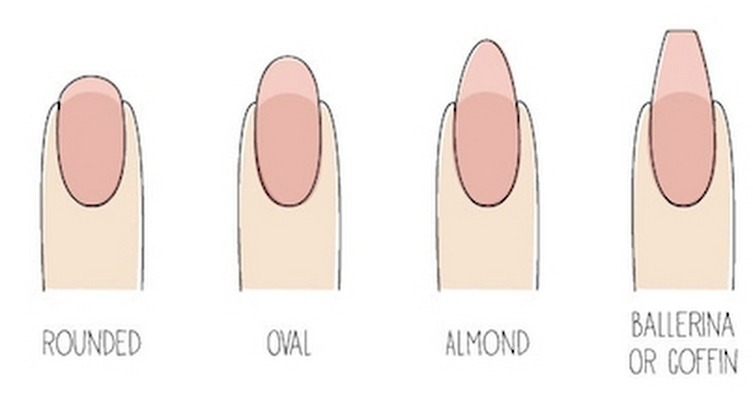 So now you know, tell us what nails you get. Do they fit your personality? Do you know of any more shapes or characteristic out there? Share with us, let us know.